One thing this blog does not need, one more post about a healthified brownie. Let alone one that seems a bit of a repeat. Hemp, quinoa, sweet potato, black bean...I've posted experiments featuring all these in what appears like the same package. Truly, I could use the same pictures in each post and I wouldn't personally notice anything amiss. But this healthy blender brownie is worth it, and not just because it's both made of good-for-you goodness and so quick and easy to whip up. It's guiltless and delicious, admittedly better and better-for-you than my original black bean brownie post from years ago I thought was heavenly. Full disclosure, although the purpose of making these with Little Monkey yesterday was for his pleasure, he decidedly didn't like them at first. Which was convenient, because that meant Dave and got to enjoy them in their straight-out-of-the-oven goodness, and we LOVE them. As, it turns out, does Little Monkey, but not until a day after baking, when the flavors have settled and cooled. 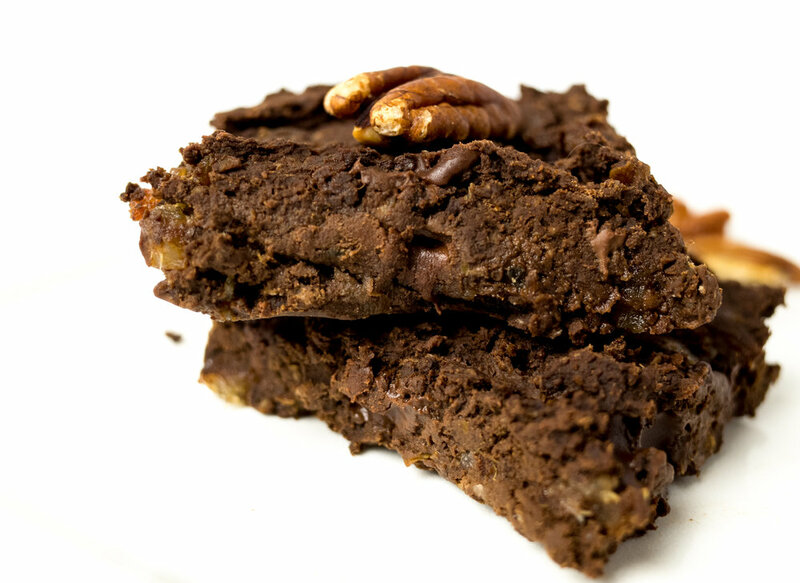 This brownie was only slightly modified from this decadent, healthy brownie from Dower & Hollingsworth; tweaked for the sake of convenience as far as timing and on-hand ingredients goes. We used a little less coconut oil, a tad less flax, and added applesauce...as well as a handful of dark chocolate chips (they just snuck in there, couldn't be helped). Next time I'll include the chopped pecans, or walnuts. Good thing this recipe makes a reasonable amount of modest-sized brownies. "Next time" could be very, very soon. Add all the ingredients through vanilla into a food processor; blend until smooth. Stir in chocolate chips and any addends of choice. Spread into an 8-inch baking pan coated with cooking spray (will be a thin layer, but the brownies are fudgy and rich-tasting enough to handle) and bake at 350 degrees F for 20 minutes.